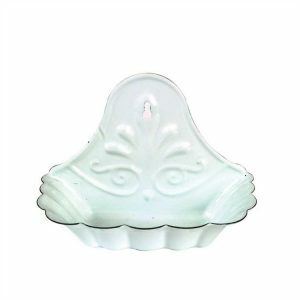 This vintage style soap dish holder can be used on top of the counter or hang on walls. 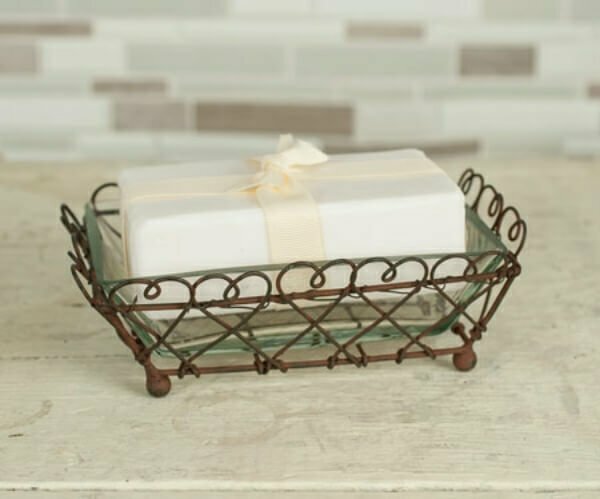 This vintage styled wired soap dish includes a glass liner. 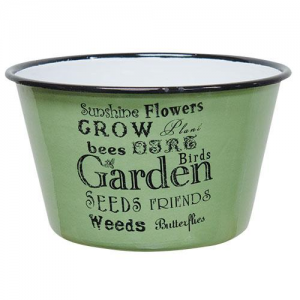 It can be used on the counter top or hang on the wall with the two loops on the back. 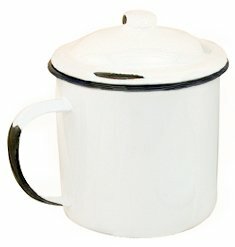 The wired metal color is green/rust. 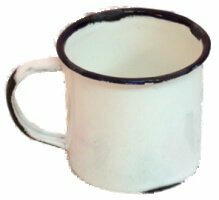 Measures: 5.75″L x 4″D x 4.5″T. Great country accent soap dish.